The fight to save the Victoria and Reservoir allotments rages on despite their sale by the private landowner to two new landowners. 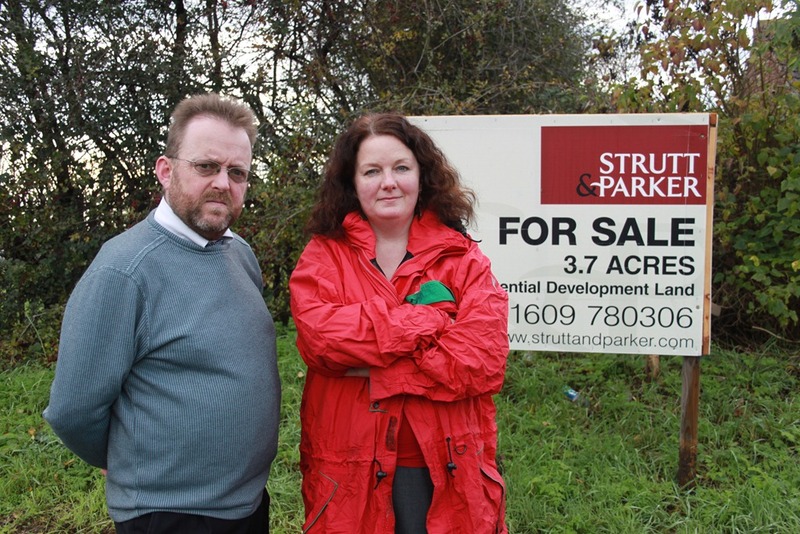 The new owner has already served the council with a year’s notice on the Reservoir site. I’m meeting regularly with the council leader to explore every option for saving the allotments, including a compulsory purchase order. The two allotment sites in Rothwell have been used as allotments for decades . Please sign the online petition here to help to save Victoria Pitts and Reservoir allotment sites! The purpose of this petition is to prevent the new owners from changing the use of the land and evicting the allotment holders. Given the current financial climate and the government’s encouragement for people to grow their own produce we need to keep this valuable resource in the community. The allotment holders are holding another public meeting this evening at 7pm at Haigh Road Community Centre, David Nagle and I will be attending in support of the allotment holders. This entry was posted in Environment, Family, Health, Leeds City Council, Rothwell by Karen Bruce. Bookmark the permalink.